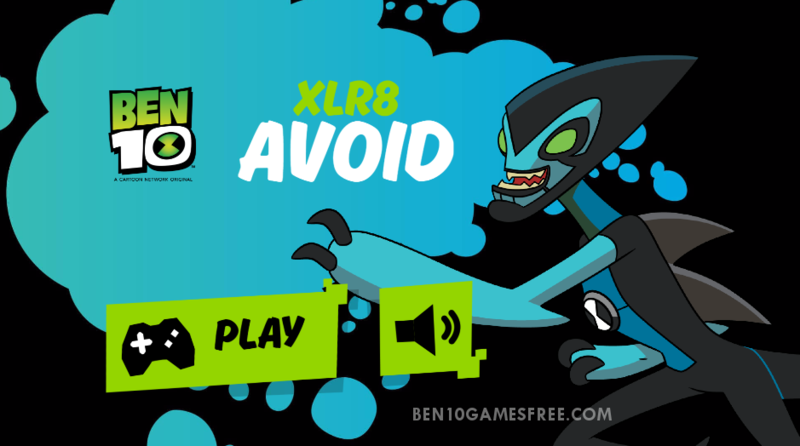 This time Ben has transformed himself into XLR8 Alien and hence the new Ben 10 Running Game justify its own title – Ben 10 XLR8 Avoid. This time you have to run and help XLR8 reach the ultimate end of each level. Before you start to play the real game, firstly let’s get yourself familiar with the Gameplay. In Ben 10 XLR8 Avoid, you have to help Ben who has transformed himself into XLR8 and running to reach the ultimate end to complete each level. Every level has obstacles in between the path, you have to use the Arrow keys very fast to decide in which direction you have to move on to avoid the upcoming Obstacles. Every time you hit the obstacle, your game will start over from the initial end. The more you score, the more distance you cover, the more will be your score on the scoreboard. It’s time to Run, Show off your Sharp Skills and dance with the Obstacles with XLR8 Alien! Don’t Forget to give your rating for Ben 10 XLR8 Avoid game and share your tips and tricks to win this game in the comments section below.